Incentives on the Honda CR-V were $2,432 in December. For the entire Honda brand, they were $1,093. 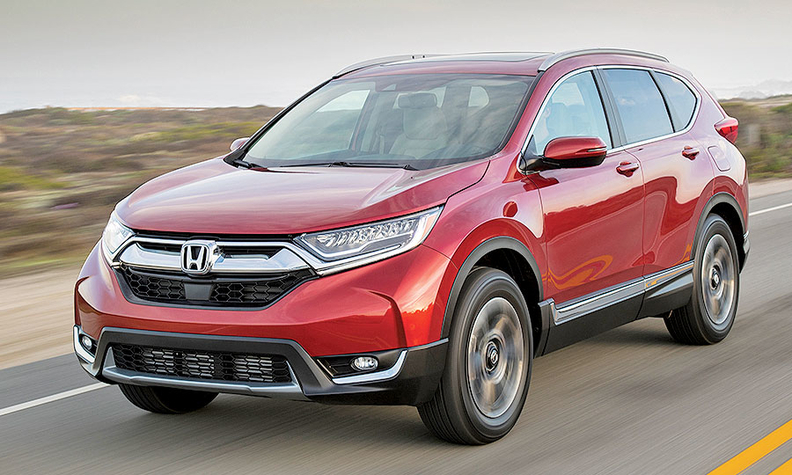 TOKYO — The big-volume CR-V was a double-edged sword for Honda Motor Co. in the latest quarter. The compact crossover was the brand's top-selling U.S. nameplate. But rising incentives on the model, as well as a recall to fix an engine glitch, undercut earnings at the parent company, according to its quarterly earnings report last week. Honda splashed out U.S. spiffs to stoke CR-V sales as competition heated up in the compact segment. Average incentive spending per vehicle more than doubled to $2,432 in December alone, compared with a year earlier, according to figures from Autodata Corp. The CR-V woes, combined with lower overall Honda sales due to crimped supply, stymied Honda's North American earnings, traditionally one of the Japanese carmaker's biggest profit generators. North American regional operating profit fell 53 percent to ¥50 billion ($453.6 million) in the fiscal third quarter ended Dec. 31. Vehicle sales across North America decreased 3.6 percent to 460,573, according to the Automotive News Data Center; sales specifically in the U.S. declined 2.9 percent to 397,831. North American operations dragged down consolidated profit at the parent company. Global operating profit tumbled 40 percent to $1.54 billion in the October-December period, and net income plunged 71 percent to $1.53 billion. Global revenue advanced 0.4 percent to $36.01 billion, as worldwide sales increased 4.8 percent to 1.41 million vehicles in the three-month period. Overall earnings also were hit by unfavorable foreign exchange rates. The yen's appreciation against the U.S. dollar and other currencies lopped about $381 million off the automaker's quarterly operating profit. Amid these headwinds, Honda also had factory supply problems. Production at its assembly plant in Celaya, Mexico, halted in June when it was inundated with water released from nearby dam that had filled to dangerous levels by torrential rain. Celaya only resumed partial production in October and didn't reach full production until mid-November. Honda kept its global outlook mostly unchanged for the current fiscal year ending March 31. It predicts operating profit will fall 5.2 percent to $7.17 billion. But the carmaker slightly raised its net income forecast. Honda now predicts net to fall 34 percent to $6.3 billion. Earlier, it had expected a steeper 36 percent slide to $6.12 billion. Honda said more cooperative foreign exchange rates will help. Honda kept its full-year global sales outlook steady. Sales still are expected to expand 1.7 percent to 5.29 million vehicles in the fiscal year.